Lilla was born May 19, 1931, to William and Sara Sharkey in Plymouth, Massachusetts, where Lilla’s love of sailing was nurtured, as she and her sister, Sue, spent their summers competing in local races on Cape Cod Bay. Lilla proudly graduated from Plymouth High School and Middlebury College, where she met her future husband, Frank Kelly MacNeill. Lilla and Kelly were married in 1952 and soon afterward moved to Lake Placid, where they raised three children, while Kelly taught at Northwood School. Lilla was a great mom, whose loving maternal instincts stretched far beyond her own children. Her endless smile and fun-loving nature made Lilla the consummate hostess. She loved to entertain, whether planning her renowned New Year’s Eve parties or preparing for a more intimate dinner with friends at Oki, Lilla was in her element bringing people together to socialize, bond and grow as friends. She created a community that lasted a lifetime. 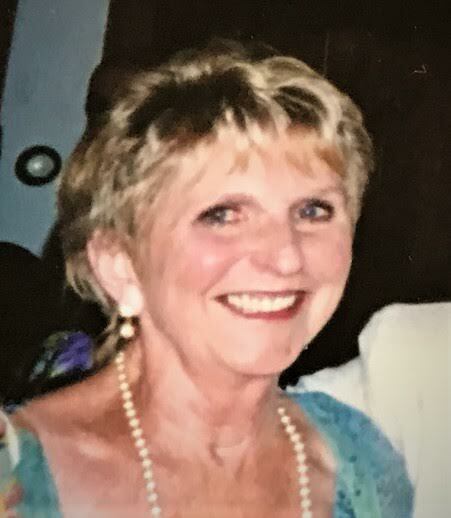 Lilla’s cheerful and outgoing personality assisted her in her careers, first as a teacher and later at several clothing stores on Main Street and then as a hostess at The Cottage, where she loved meeting new people and working with the other staff, who became a second family to her. Lilla loved to cook and got a lot of practice over the years. During her time entertaining, she mastered baking, with her famous rum and Kahlua cakes catching the eye and taste buds of several chefs in the area, but her passion was to make cakes for family and friends. When time permitted, Lilla loved to read and found peace in the solitude of sitting amid the trees surrounding the porch at her adored Adirondack camp, Oki. In 1979 Lilla unexpectedly became a widow and eventually found love again, marrying Robert Stevens in 1982. Lilla then moved to Hilton to live with Bob and his four children. Lilla returned to substitute teaching until Bob retired when their new routine became wintering in Florida, where they found many new and dear friends and spending the summer back at much-loved Oki in Lake Placid.